LaTerra Development will build a 52-unit apartment complex in Mar Vista, adding to its fast-growing Los Angeles multifamily portfolio. The Century City-based investment firm secured a $14.5 million construction loan from Bank OZK, records show. It has applied for a permit to build the five-story development at 12575 W. Venice Boulevard. Five of the apartments will be designated for very low-income residents. President and CEO Charles Tourtellotte confirmed the construction plan. The 36,500 square-foot project will replace an office building at the site. LaTerra bought the property in February for $8 million from Crimson Holdings. 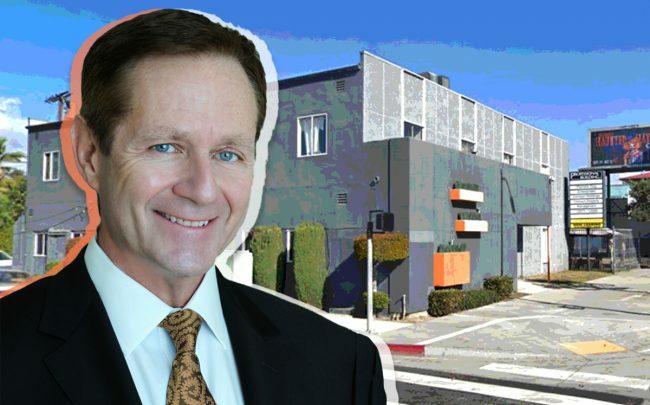 L.A.-based Crimson received approval for the construction, and for a 77-unit development across the street at 12444 Venice Boulevard. LaTerra also purchased that property at the same time, for $12.5 million. Crimson had acquired the two properties — before they were entitled — for a combined $7.2 million in 2013 and 2014. LaTerra is also working on a pair of residential developments in East Hollywood that will add 246 units — the second of which was approved last month. In West Hollywood, the firm is also building a 71-unit development.